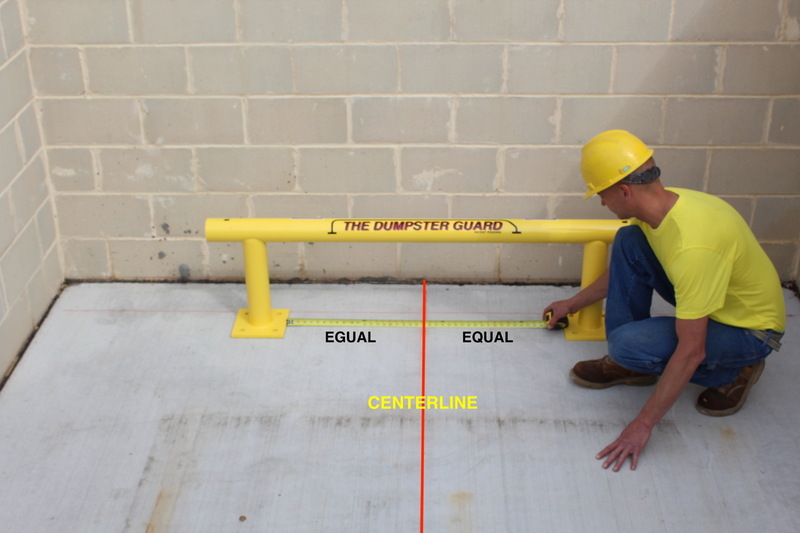 THE DUMPSTER GUARD®is enclosed in a sturdy cardboard box and shipped on a pallet by common carrier to all states in the Continental United States. 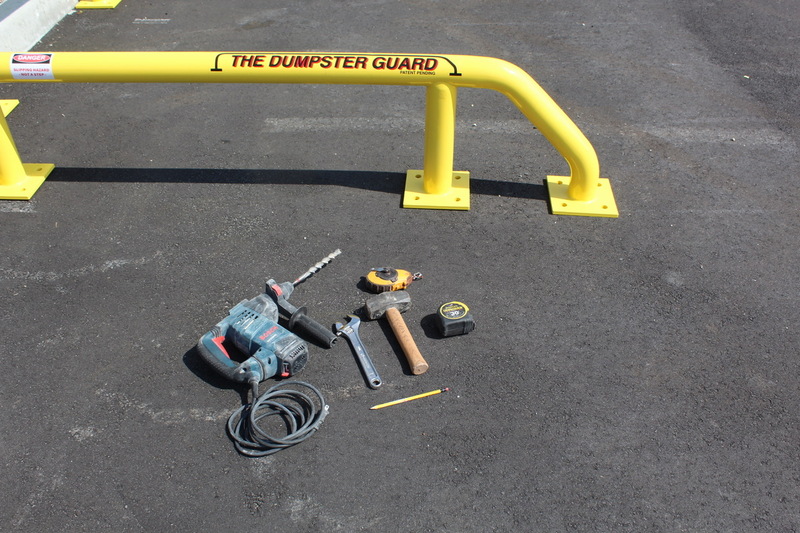 The average installation time for THE DUMPSTER GUARD® - Standard is under one hour. 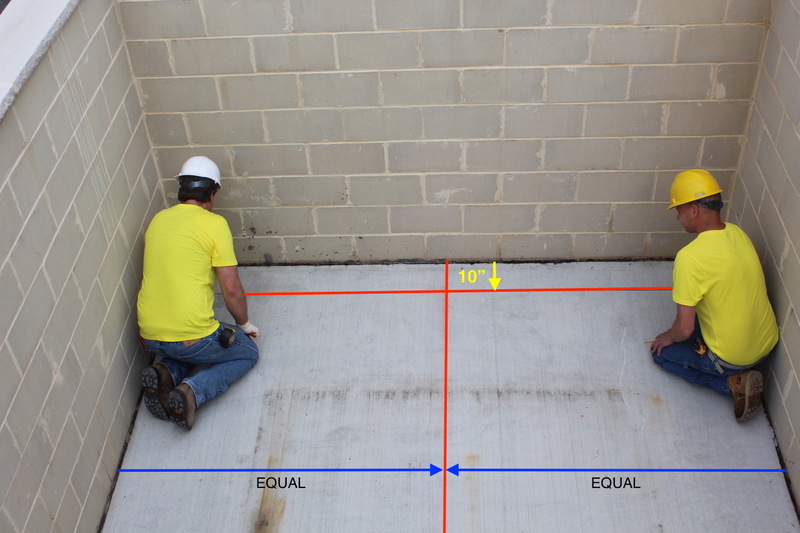 An installation guide is included for the installer's reference. 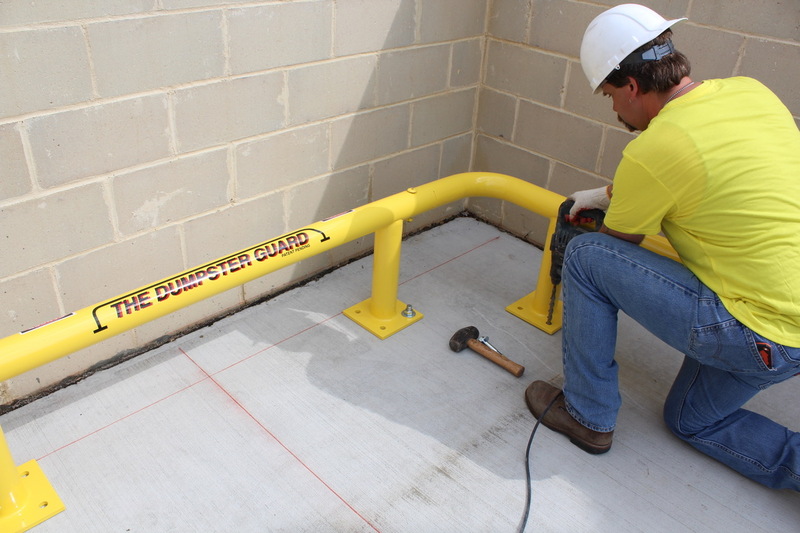 When installing THE DUMPSTER GUARD® in concrete, it is necessary to use 3/4" x 4 1/4" steel sleeve anchors. 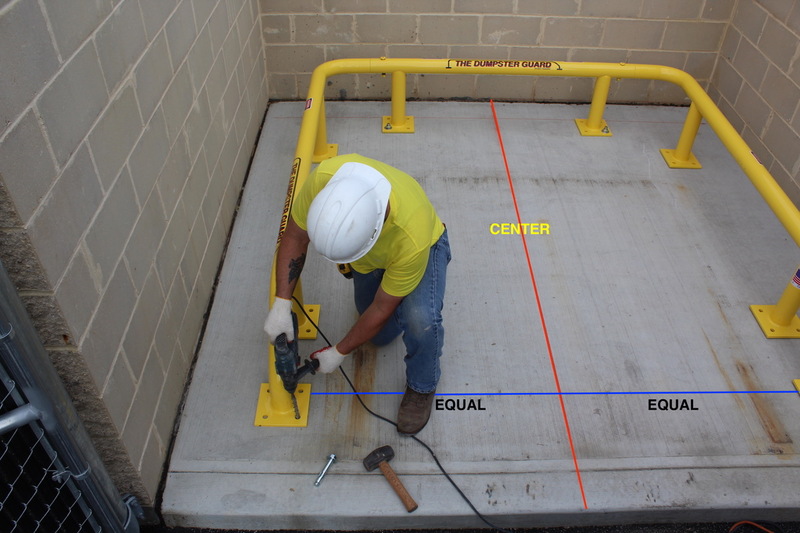 "No claims, representations or warranties, whether expressed or implied, are made by both our companies as to the safety, reliability, durability and performance of any of our companies' products. Furthermore, our company accepts no liability whatsoever for the safety, reliability, durability and performance of any of our companies' products." 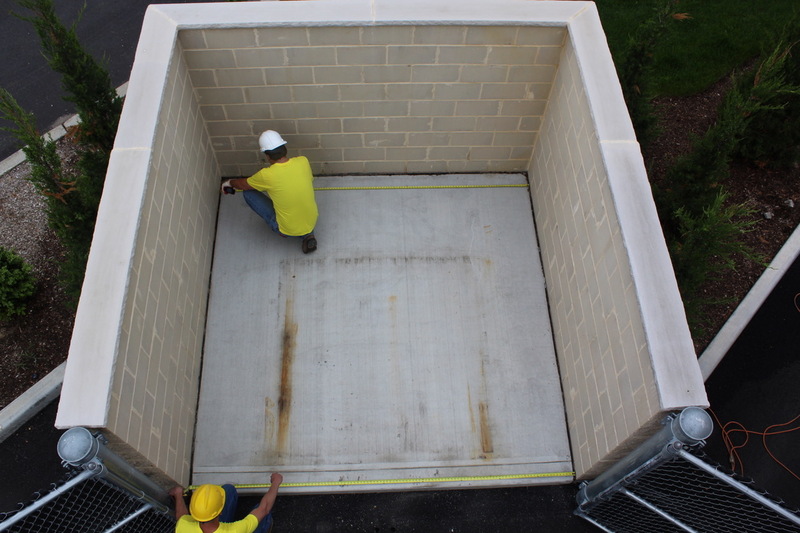 THE DUMPSTER GUARD® was designed to fit a typical 10' x 10' enclosure. 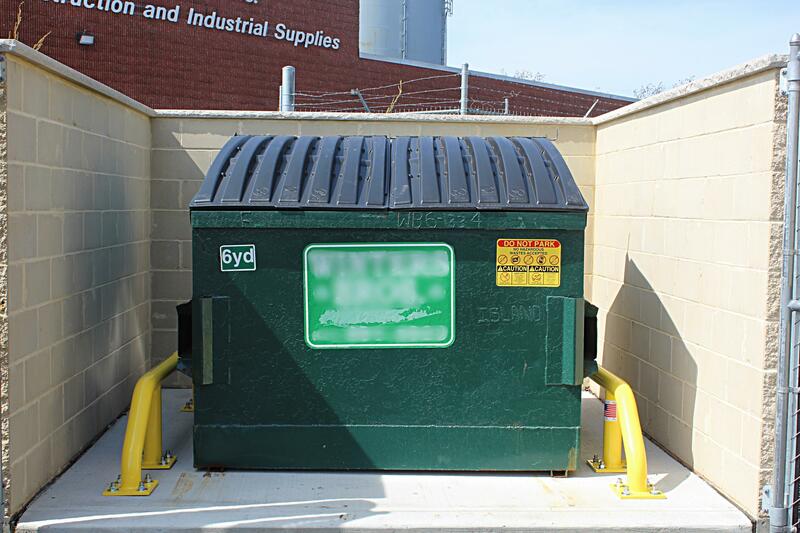 If your enclosure is smaller, you can still install THE DUMPSTER GUARD®. 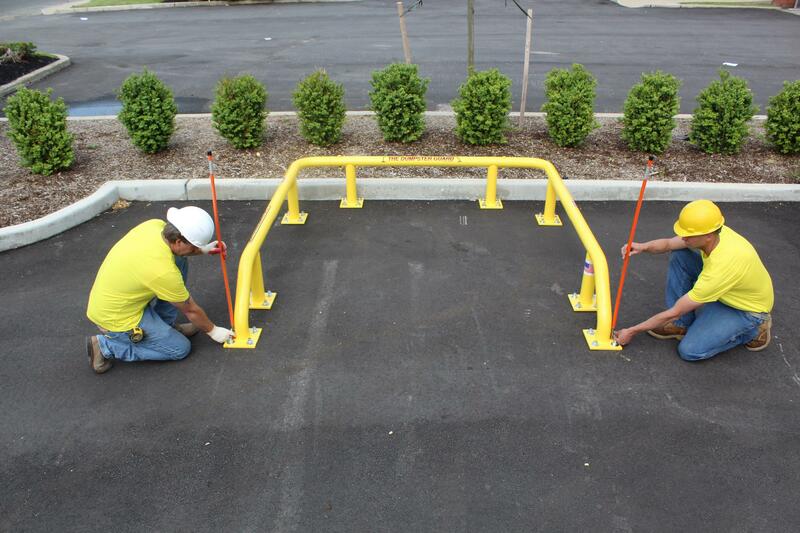 We recommend maintaining 12" clearance. 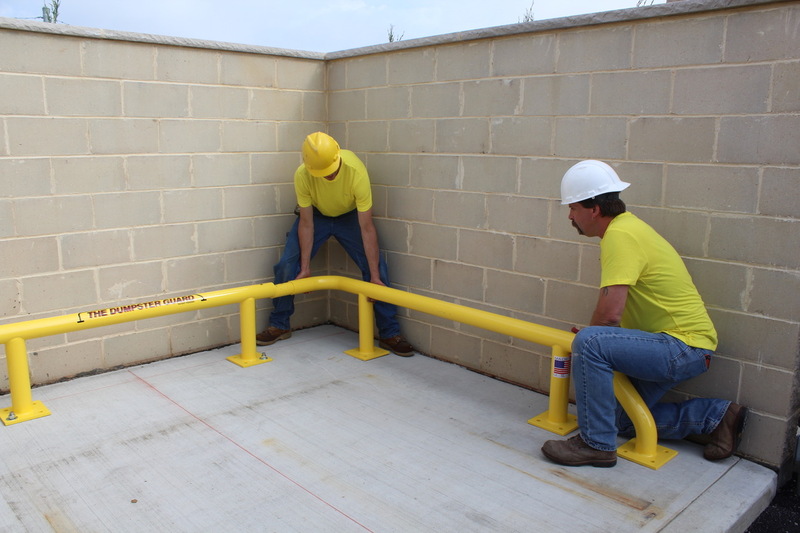 *The installation steps below are used for a concrete installation. 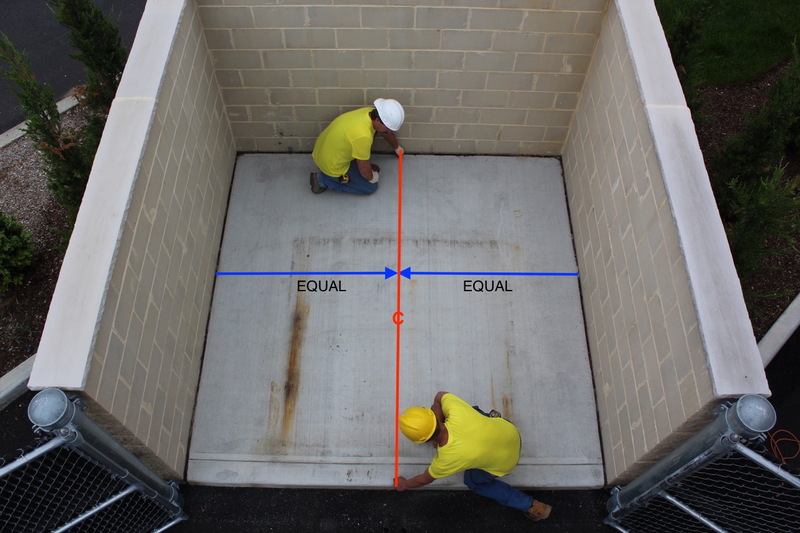 Using a tape measure and pencil, measure the width of the enclosure. 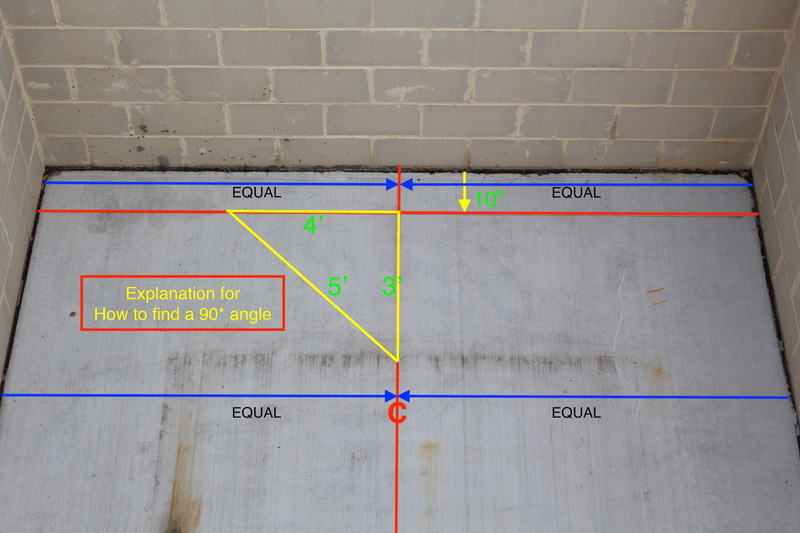 Divide measurement in half. 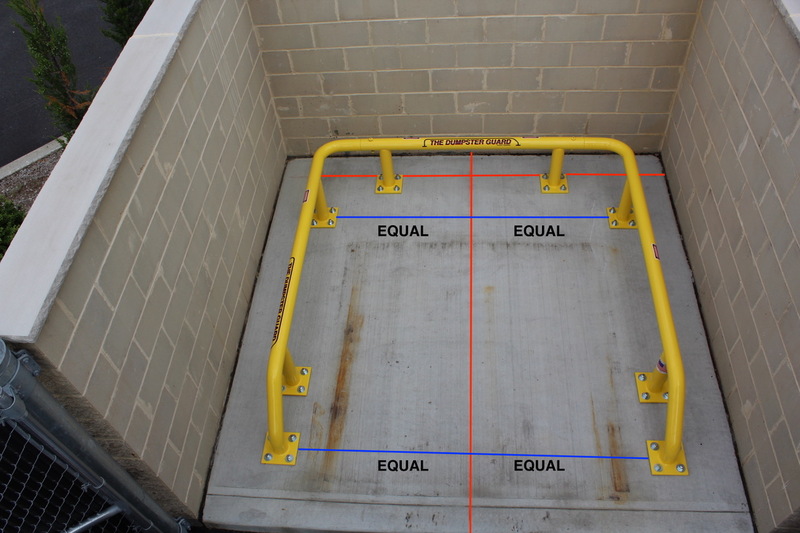 Be sure to make marks at the front and the rear of the enclosure. Snap a line between these two marks. 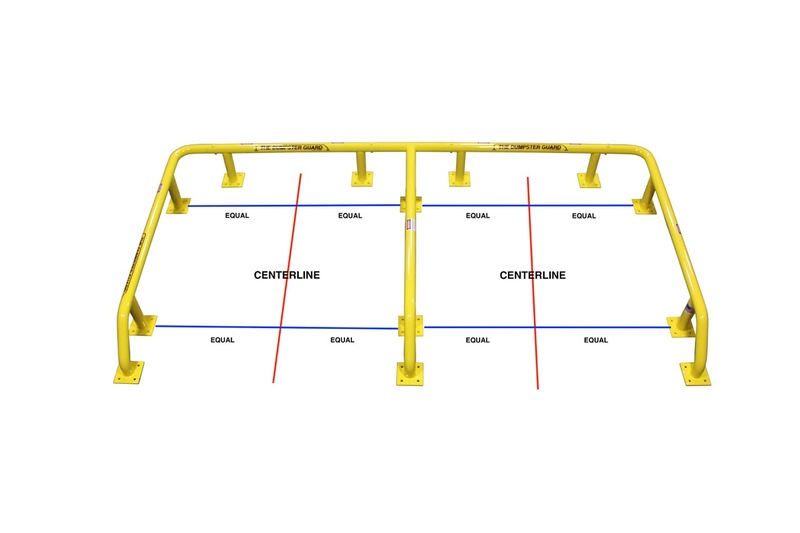 This is your "centerline" of the enclosure. back wall forward 10" and make a mark. 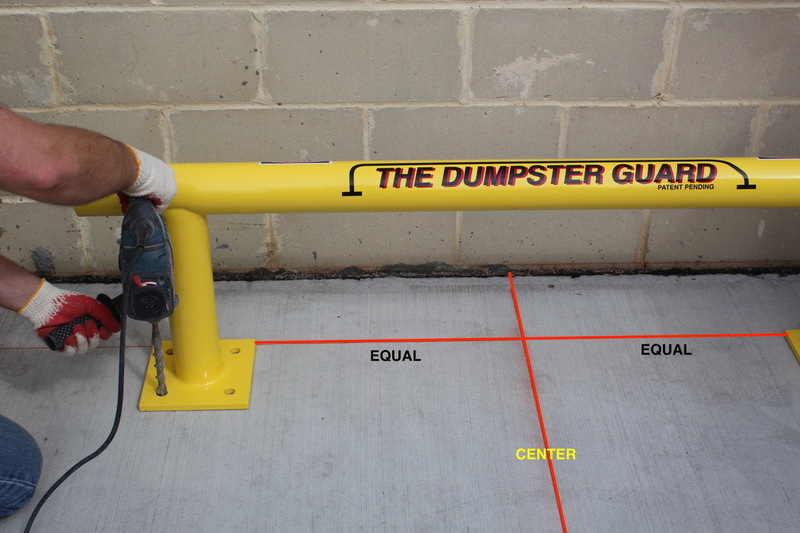 THE DUMPSTER GUARD® by attaching to the rear frame previously installed, using the (2) 5/8" hardened carriage bolts provided. 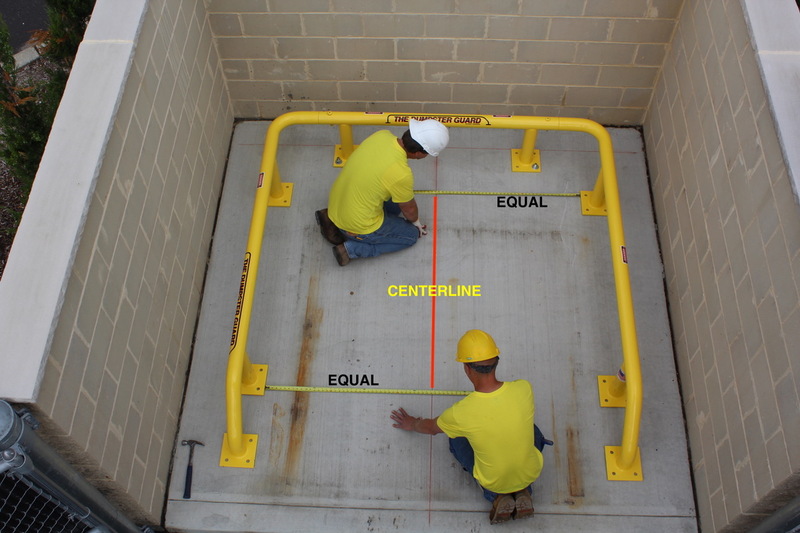 Using the "centerline," maintain equal measurements to the base plates. 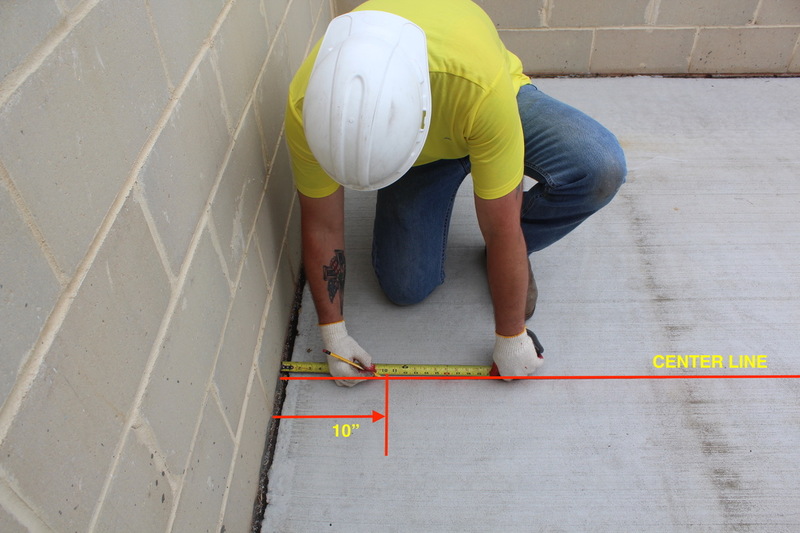 drill (1) 3/4” masonry hole in each and install sleeve anchors using 10 lb. hammer. 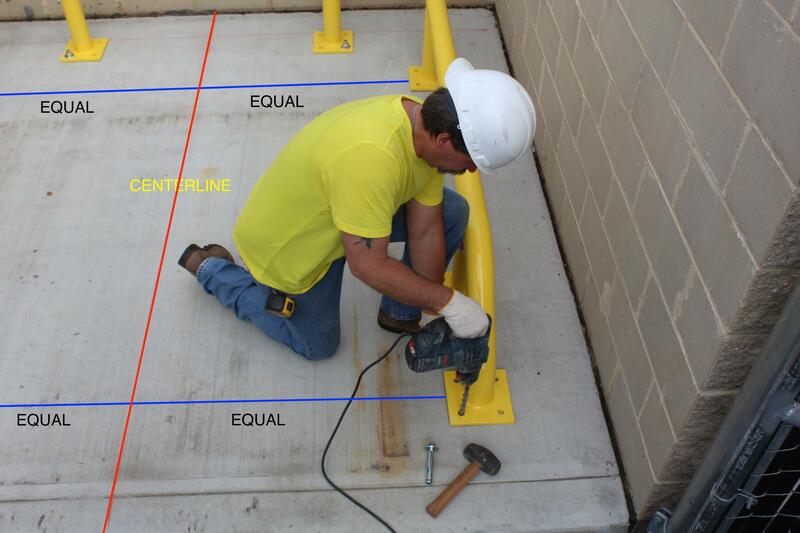 Proceed to drill and install (1) sleeve anchor in each base plate. Ensure to maintain equal measurements off of "centerline." 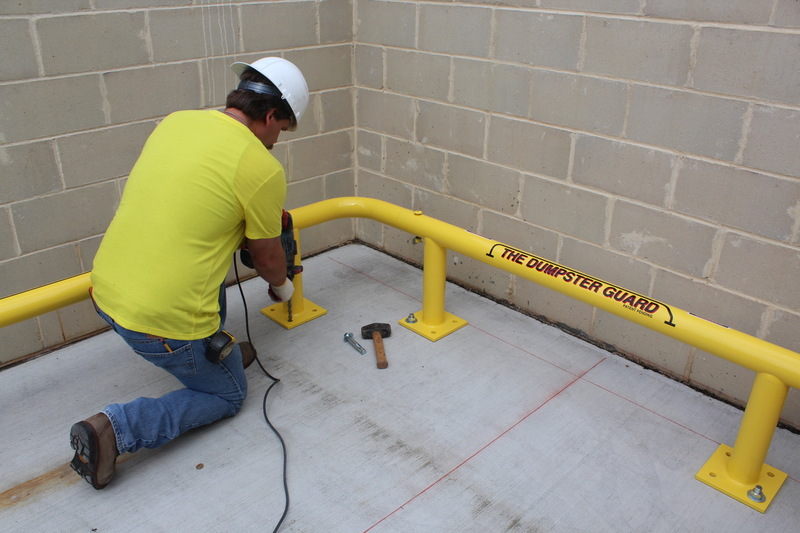 Once each base plate of THE DUMPSTER GUARD®has been located and secured, continue installing the balance of the 3/4" sleeve anchors and tighten. 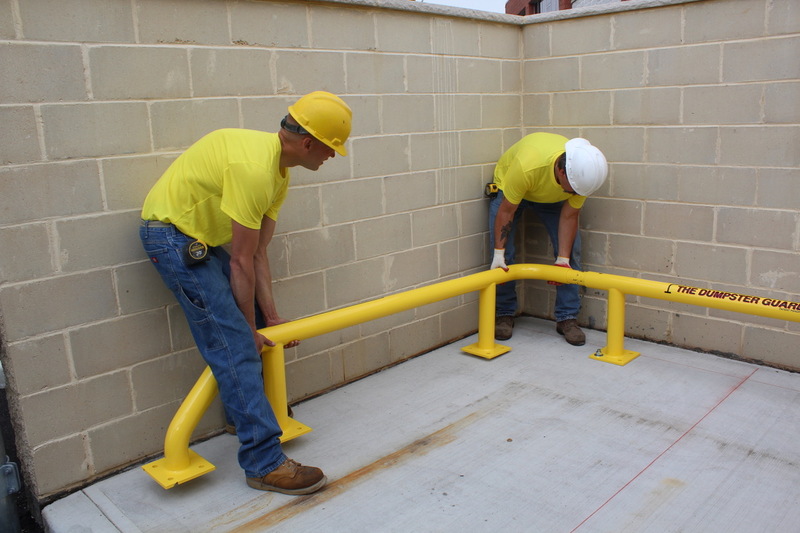 At this time, securely tighten all previously installed anchors and hardened 5/8" carriage bolts. 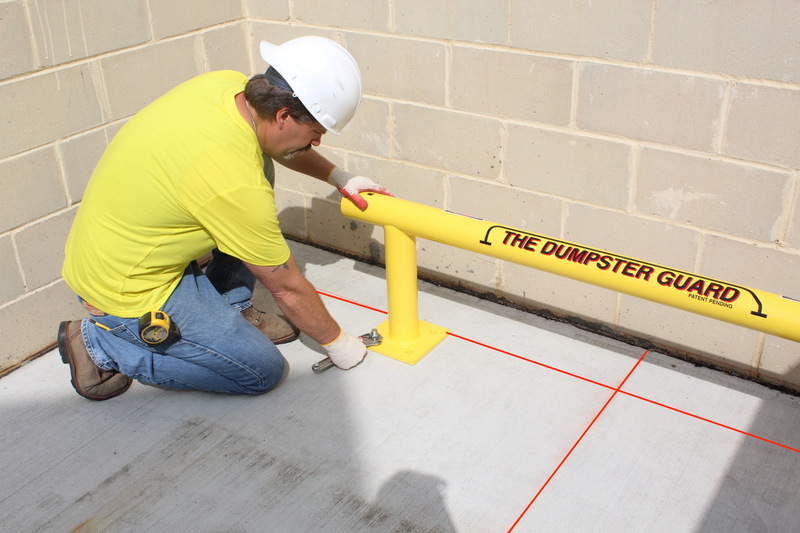 THE DUMPSTER GUARD® is now installed and "Taking Control Back"
PLOW MARKERS* ARE STRONGLY RECOMMENDED FOR GUARDS INSTALLED IN OPEN AREAS! 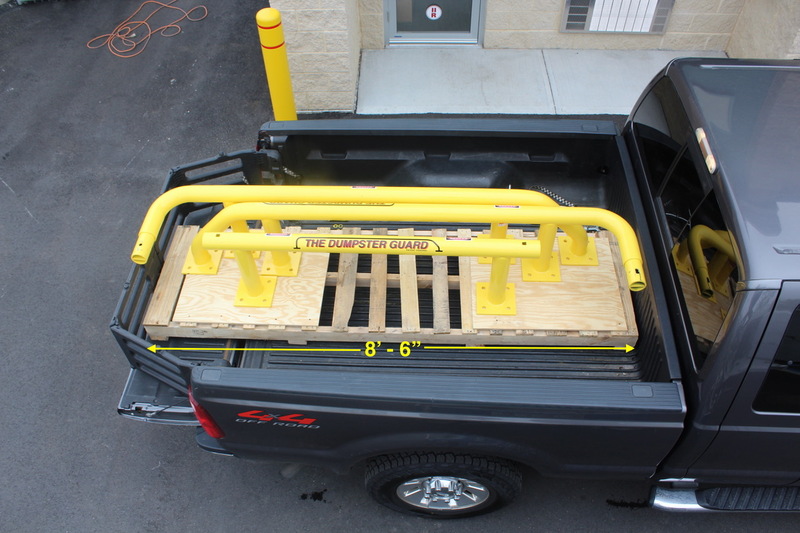 Secure with 3/8" hex bolts included.